The first day of summer is right around the corner. Here at Yesware, we’re celebrating this season of sunny days with exciting new product updates, including the ability to set your favorite reminder time as a default for all future reminders. 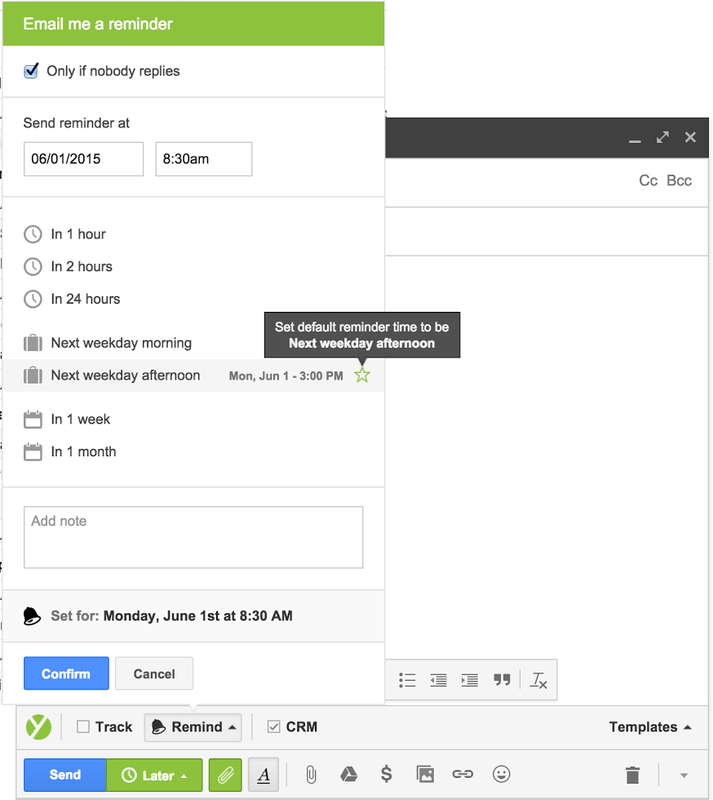 Now, Enterprise Gmail users can view all of your open tasks at a glance within your Salesforce sidebar. This feature, available in Yesware Labs, allows you to see, edit, and close tasks in Salesforce all without leaving your Gmail inbox. Tired of selecting your optimal reminder time each time you compose a message? Now, you can set your favorite reminder shortcut as a default for all future emails. Simply open the compose window, select reminders, and hover over your favorite reminder time. Click the green star that appears in the right hand corner to set that time slot as your default reminder time.